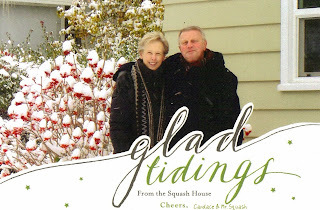 Squash House Quilts: Merry Christmas!! And the same to you! Have a wonderful Christmas in your new house. Love the picture!! Hope you had a wonderful day! Lovely picture of you. Enjoy the holidays! Merry Christmas Candace. I hope you guys had the merriest of Christmas this year!!!! I love the photo! It's a great pic of you boy! I hope you had a very Merry Christmas, Candace! Thanks for being such a wonderful new friend! Happy Holidays, Candace & Mr. Squash.